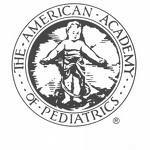 Health risk behaviors have increasingly been linked to psychological distress in children and adolescents. As part of the 2003 Scottish Health Survey of nearly 1,500 children aged 4 to 12 years and their parents, researchers from the University College London looked at the association between television/screen entertainment viewing time, physical activity levels and psychological distress. Higher amounts of TV/screen time were associated with lower physical activity rates. Both higher screen time and lower physical activity rates were linked with higher odds of psychological distress, including emotional symptoms, conduct problems and peer relationship problems. The authors concluded that public health policy should focus on reducing sedentary time and maintaining sufficient physical activity levels in younger children. Every other day of the week, Lincoln, Nebraska, pop. 250,000, is the pride of the Central U.S. On Wednesday, April 22, 2009, however, Lincoln was the pride of the nation. Coverage of the event, which was broadcast statewide, included CNN affiliate KETV in Omaha. CNN will also feature the story nationally in a special segment of “CNN Weekend News,” hosted by Betty Nguyen. 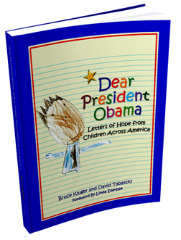 “Dear President Obama,” a full-color, large-format trade paperback published by Beckham Publications Group, Inc., was compiled and edited by New York journalists Bruce Kluger and David Tabatsky, and features nearly 200 letters and drawings created by 178 children, ages 4 through 18, from 29 states. But on Wednesday, the Lincoln dozen were arguably the stars of the book. Clinton Elementary principal Mona Manley arranged a 2:00 PM assembly in the school’s gymnasium, where the young author-illustrators proudly read their letters and described their drawings before a packed and often emotional crowd. After the event, the media swarmed around the children to conduct interviews and meet five-year-old Jason Phan, who drew the picture of the president that appears on the book’s cover. Beyonce on Wubbzy this Week – 10 a.m. on Nick! Beyonce is lending her voice to Nickelodeon’s animated kids’ show, Wow! Wow! Wubbzy!, playing Shine, the lead singer of the The Wubb Girls, in four episodes beginning April 27. Beyoncé is guest starring in episodes of the Nick Jr. animated preschool comedy series, Wow! Wow! Wubbzy! 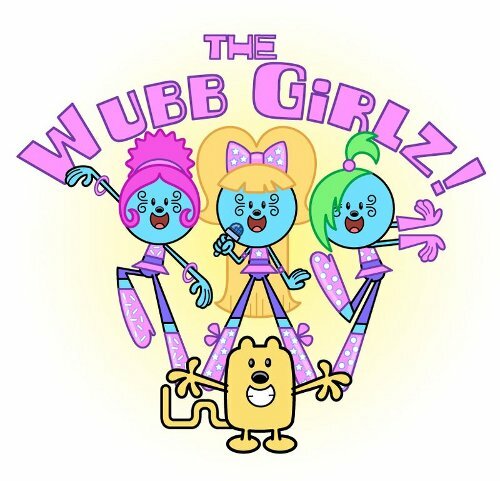 in a special week-long “Wubb Girlz” celebration, Monday, April 27 through Thursday, April 30 on Nickelodeon at 10 a.m. (ET/PT). The appearance marks her voiceover debut and first-ever children’s project. Beyonce composed and performs “Sing a Song,” which will be available on iTunes and other digital outlets on April 21. After four music-filled episodes, the week culminates with an hour-long “Wubb Idol” movie on Friday at 1 p.m. (ET/PT). Posted in Uncategorized | Comments Off on Beyonce on Wubbzy this Week – 10 a.m. on Nick! Coming to DVD April 28. When Elle Woods’ young, blonde cousins Annie and Izzy (Milly and Becky Rosso) moved from England to California, they thought their pink clothes, small dogs and street smarts would make them instantly fit in and feel at home. However, they find they are miles away from the uniform fashions and money-focused power structure of their new prep school. When the school’s reigning forces turn on the girls and try to frame them for a crime, Izzy and Annie must use their cleverness and charm to clear their names and show the school that in the classroom or the courtroom, they should never underestimate the power of blondes! Experience the thrilling action and epic adventure like never before when the groundbreaking first season of STAR TREK®: THE ORIGINAL SERIES lands on Blu-ray disc April 28 from CBS Home Entertainment and Paramount Home Entertainment. Boasting superior picture and pristine audio for the best possible home viewing experience, the Blu-ray seven disc set includes all 29 first season episodes and loads of special features. 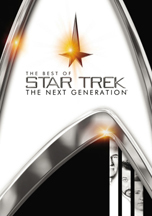 The first season Blu-ray release of STAR TREK®: THE ORIGINAL SERIES features brand-new technology that finally provides fans/viewers with the best of both worlds by giving them the ability to see each episode’s newly enhanced or original special effects and hear a new enhanced soundtrack or the original one. Viewers will be able to select either version to view or toggle back and forth between the newly enhanced visual effects found on the remastered episodes and the original broadcast episode effects. Also for the first time, fans will be able to enjoy the series in 7.1 DTS-HD Master Audio, the best sound format possible, and have the option of selecting the original mono sound heard on the series’ original television airings decades ago. As part of the special features, select episodes include the “Starfleet Access” bonus content. By choosing the “Starfleet Access” option, viewers will be able to watch the selected episodes with special pop-up trivia and picture-in-picture video commentaries. The set also includes an interactive tour of the starship Enterprise, rare on-set home movie footage, an inside perspective on what it took to transport Trek into the 21st century and much more. A definitive STAR TREK®collection with more than 24 hours of entertainment, the set will be available for the suggested retail price of $118.00 US and $136.00 CAN. An exclusive collectible Sulu figure from Diamond Select Toys is also being made available with purchase of the Blu-ray set; fans pay only shipping and handling charges. Starring one of the most endearing casts in television history led by William Shatner, Leonard Nimoy, DeForest Kelley, James Doohan and Nichelle Nichols, STAR TREK® is a worldwide phenomenon and served as a launching pad for numerous television series and feature films. These classic first season episodes started it all, introducing the world to Kirk, Spock and the rest of the Enterprise’s iconic crew. You are currently browsing the Granny Ranny's Coming Attractions weblog archives for April, 2009.